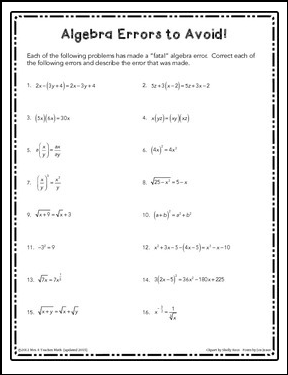 Students must "grade" this worksheet and correct any problems with incorrect answers. This forces students to think critically and analyze work. Also, this can lead to a good discussion about what kinds of errors earn partial credit. 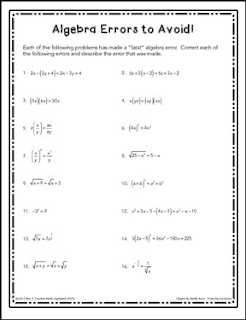 This was created to be a review of algebra errors before a pre-calculus or calculus class. No answer key is included because this is meant to facilitate discussions between students.